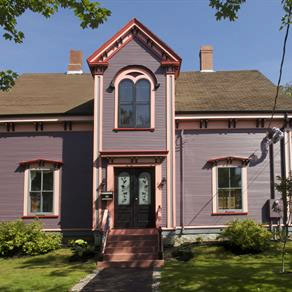 The MacKinnon Cann Inn Complex is comprised of 4 beautifully restored Victorian Mansions located in the heart of Yarmouth's Heritage Conservation District in Centre Town. 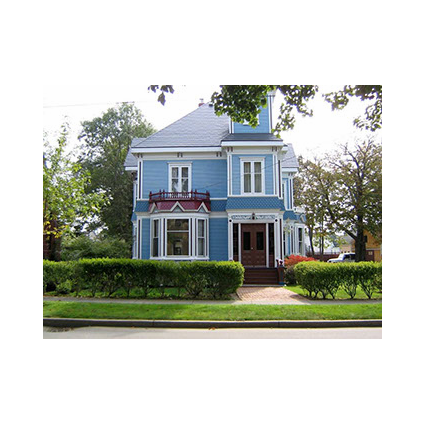 Two of the homes, the Charles Moody House and the Anne Spinney House provide a variety of long or short term relocation accommodations. 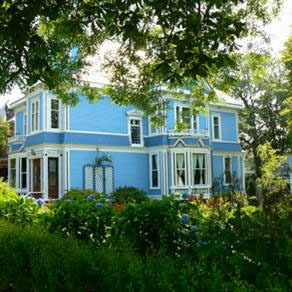 Presently the Anne Spinney House (Blue House) is available as a private 4 bedroom home perfectly suited for a family or shared living situation. 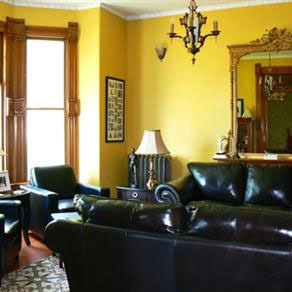 The Charles Moody House (Purple House) features three beautifully appointed apartments. Each apartment features luxury living from a 2 bed/2.5 bath unit, a 2 bed/1 bath unit or an exceptional studio loft style apartment there is something for everyone. All of these properties can be reserved for a long or short term stay. Furnished or unfurnished options are available. Call for availability! Relocation Companies Welcome!